The Line Plastic Surgical Clinic that has led the Korea’s cosmetic plastic surgery field based on the best medical staff and the state-of-the-art system equipped with sustained growth for more than 10 years, to kick start growth into a global hospital leading the worldwide cosmetic plastic surgery market. To achieve this, The Line Plastic Surgery set up the overall system both internal and external, and is striving to found a joint hospital between Korea and China & to attract foreign patients. It has been designated as a clinic of attracting foreign patients in 2009, and has shown great growth potential for a global clinic. In addition, it has been developing into a top hospital recognized by overseas medical staff through over the 20 cases presentations and guest lectures at international conferences per year, as well as ISO-9001 quality certification for cosmetic medical services and mutual exchange of medical knowledge among the excellent hospitals from China, Japan, and Thailand etc. 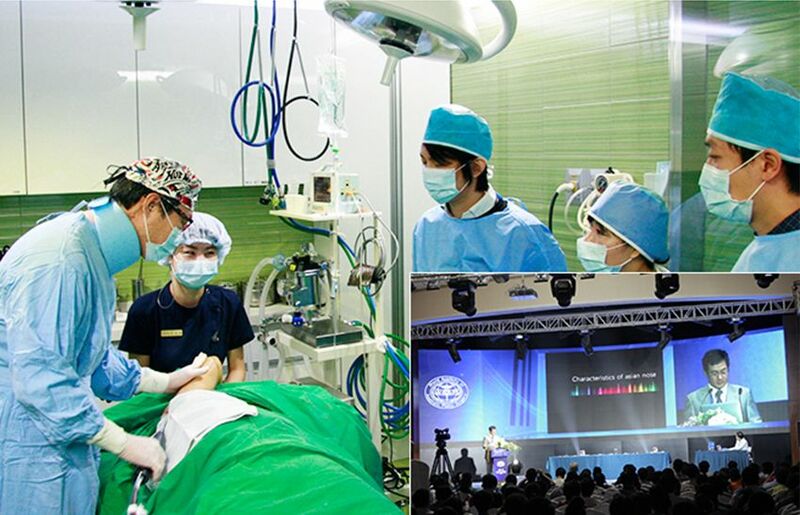 It also organizes live surgery workshops, hands-on courses, and seminars to pass down the superior medical techniques to doctors from all over the world so that it is emerging as an international hospital for educating. The Line Plastic Surgery consists of seven specialized plastic surgery centers: ‘Eyes & Nose Center’, ‘Face Outline Center’, ‘Lifting & Anti-aging Center’, ‘Breast Surgery Center’, ‘Body Contouring Center’, ‘Anesthesiology Center’, ‘Postoperative Care Center’, and it plays a leading role in medical market with 3D-CT, ultrasonography, state-of-the-art educational facilities operating in real time. The Line Plastic Surgery promises not to merely rest on our laurels, but to be a top leading clinic in the field of cosmetic plastic surgery keeping in patient-oriented mind. We are constantly studying and developing. We shall put our utmost efforts in Trust and Satisfaction, Comfort and Continuous Researches in order for our clients to live happier lives with confidence through the ceaseless efforts and research activities towards beauty of the medical staffs who put foremost priority on the safety of our clients.